Cerro Blanco is a rare entity: a million ounces of high-grade gold already permitted to be built into a mine producing over 100,000 oz. a year. The market hasn’t paid much attention to Bluestone Resources (TSX-V: BSR) yet but with a construction decision imminent – investors and major miners alike are about to start moving in. 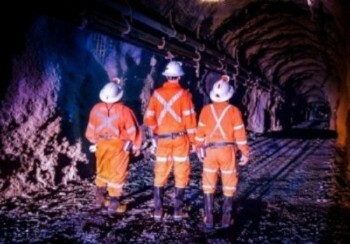 Gold miners need advanced projects that can quickly be built into economic mines. Streamlining operations in the long bear market means most miners are now making money…but have no good options for growth. The problem is: there are hardly any advanced gold assets around. 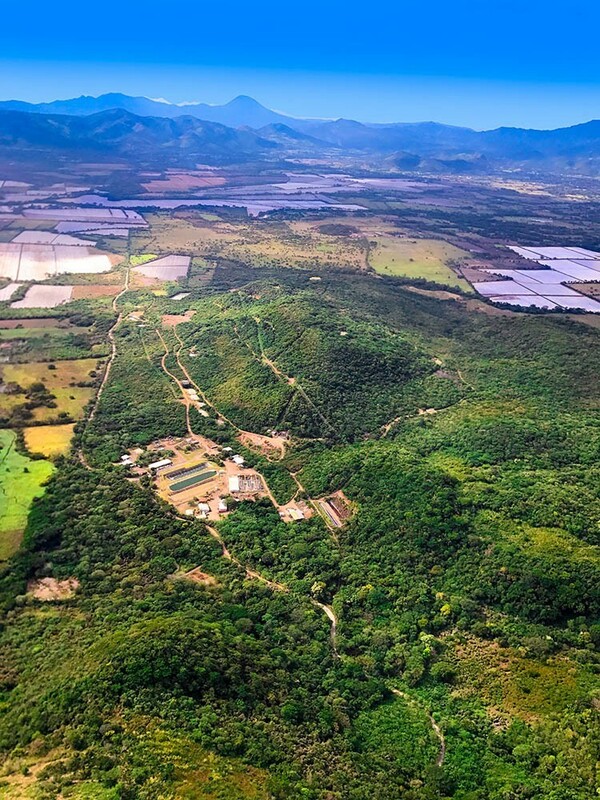 Bluestone Resources’ Cerro Blanco project is an exception. It’s a rare entity: over a million ounces of high-grade gold in a confident resource already laced with underground workings, all permitted to be built into what studies say will be a strongly economic mine. 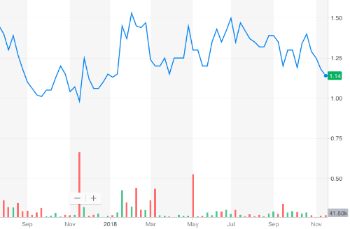 Bluestone was born only 18 months ago and its share price has been ‘boring’ so far, trading sideways. Fair enough, as the company has been busy doing the get-ready-to-build work that investors find boring. But that work is almost complete: the full feasibility study is almost done, backed by a resource that BSR made bigger and stronger, a plethora of studies on everything from metallurgy to power trade offs, and a strong social license to operate. The ‘boring’ phase will end, replaced by financing and a construction decision. A new group of investors – those who ride the Golden Runway by investing in a mine when construction starts to profit from the re-rating once it starts churning out gold – will get on board. These changes are around the corner. Also around the corner is the potential for a major miner to really like the feasibility study results – and take BSR out to get its hands on this advanced, construction-ready gold mine. Bluestone has an enviable shareholder registry. The mining-famous Lundin family owns 36% of the company. Goldcorp has 5%, a committed fund called CD Capital owns 17%, management has 9%, and institutions hold 21%. It is because of these long, strong shareholders that BSR shares have held steady sideways so far. There’s no reason to think that will support will change, which creates a solid foundation for the share price. It has held its ground until now; those strong shareholders will continue their support as Cerro Blanco gets closer to production. But now, with the feasibility study imminent, there’s good reason to believe new buying will soon surface and a chance that a takeout could occur. Underlying that, there’s a very good chance that this asset will be in production within 18 months; investing before a company is re-rating from builder to producer is a great way to profit. Bluestone’s stability to date highlights its solid foundation. The company’s year of intense, multi-faceted work is about to culminate in a feasibility study that should attract new interest to this rare, development-ready gold asset. All told, it’s a good time to look at Bluestone Resources. Gold investors know all too well how long the bear market dragged on. As one bad year turned into two, then three, and four, project after project got shelved. Exploration on new targets totally ceased, but so too did permitting and engineering for advanced assets. As a result, the new gold bull market is getting underway but there is an almost complete dearth of build-ready projects. Cerro Blanco is a rare exception. Goldcorp owned this project for years. And for years – right up and into the bear market – the major marched the asset towards production. They defined over a million ounces of high-grade gold. They permitted and developed 3 km of production-scale underground workings. They drilled 19 geothermal wells and earned a permit to build 50MW of geothermal capacity. They completed metallurgy and engineering and modeling and social outreach – everything needed to get Cerro Blanco primed for a construction decision. That included permitting. Cerro Blanco already has approval to be built, which puts the project years ahead of non-permitted assets. But then Goldcorp’s outlook on Guatemala changed. Cerro Blanco was supposed to be a sister to the Marlin mine that Goldcorp had been operating for years. But exploration didn’t pan out at Marlin and it ultimately underwent closure and reclamation, partly because the bear market pressured majors to streamline their portfolios. Cerro Blanco wasn’t big enough for a major like Goldcorp to maintain a presence in country, so Goldcorp decided to exit Guatemala completely. After putting over US$200 million into Cerro Blanco, Goldcorp put the project up for sale. Since it was the heart of the bear market, Team Bluestone was able to get the asset for US$18 million. Negotiating for the asset was step one. Step two, now underway, is getting the project fully ready to be built – as quickly as possible. Bluestone is acutely aware that Cerro Blanco is a rarity in the gold world, a permitted project primed to produce more than 100,000 oz. gold a year that will soon be ready to be built. Gold producers will want this thing, just as soon as BSR can prove it is totally good to go. Bluestone is getting it done. News flow from the company has seemed quiet through 2018, but if you take a closer look what you actually see is an intense juggling act by a highly experienced team of mine builders. A resource update released in September was one essential step in the feasibility process. The count now stands at 3.7 million measured and indicated tonnes grading 10.1 g/t gold, plus 1.4 million inferred tonnes averaging 8.1 g/t gold, for a global gold resource of 1.56 million ounces. The update grew the gold count by 21%, largely by extending known veins and adding inferred ounces. Those represent good upside: with a solid understanding of the gold system now in hand, BSR is confident it can infill those extensions and upgrade those inferred ounces with ease. That solid understanding is really important, as an accurate resource model is the most important factor in designing a successful underground mine. The drilling BSR has added to all the work that Goldcorp did is generating exactly that. Seeing the veins firsthand via 3 km of underground workings also helps! Drilling is ongoing as Bluestone continues to infill some areas, but the company is also finding new gold. For example, the team discovered a new vein set in the hangingwall this summer. Exploration of this kind, both right around the deposit and along strike where targets are largely untested, will continue for a long time. But drilling is only one focus at Cerro Blanco because a feasibility study has multiple components…and Bluestone is juggling to get them all done in a year, which is incredibly fast. New eyes on an asset provide new insight and such has certainly been the case for Bluestone’s expert team arriving at Cerro Blanco. The resource estimate is based on a largely revised geology domaining and wireframe model, which carries the confidence needed for a feasibility study. That new resource model is being used to design the rest of the underground workings and to plan stope shapes. The team also acknowledged for the first time that Cerro Blanco could also offer bulk tonnage potential. The underground mine is based just on the high-grade veins, but there is also a low-grade halo around those veins plus disseminated gold in the overlying cap rock. Bluestone estimated that resource as well: it came in at 60.6 million measured and indicated tonnes grading 1.5 g/t gold plus 18.5 million inferred tonnes averaging 1 g/t gold, for 3.6 million oz. The fact that the bulk tonnage resource contains more than twice as much gold as the high-grade veins is interesting – it won’t impact the mine being planned right now, but it offers options and potential upside going forward. 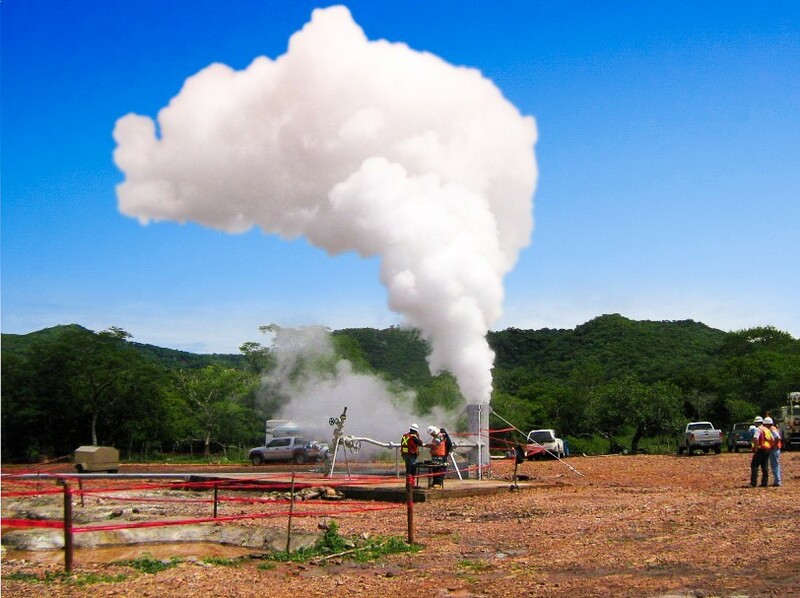 Coming back to the work being done for the feasibility study: a huge amount of metallurgical testwork has already been done at Cerro Blanco but that work continues, with additional leach tests, cyanide detox tests, and carbon loading tests. Met work is done so engineers can design a process flowsheet. The PEA had a basic version thereof; the feasibility study will have a detailed, complete flowsheet, right down to how much reagent will get used and where Bluestone will procure the chemicals. On the tailings front, Bluestone is assessing paste backfill, which means drying tailings until they’re like damp sand, mixing in hardener, and sending them back underground to fill exhausted stopes. It’s a way to add stability to an underground operation. Another key aspect at Cerro Blanco is water, some of which is quite hot, hence the geothermal opportunity. To manage that Bluestone is working through a complete Ground Water Model to fully understand dewatering requirements, while also deciding best to take advantage of the large, permitted geopthermal opportunity. And on it goes. 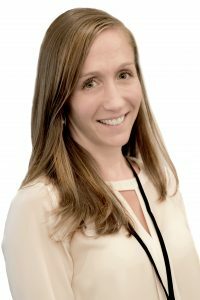 Bluestone has ongoing social work, investor outreach, geothermal investigations, and conversations with interested parties from offtakers to majors. It adds up to very busy days! It’s up to management to keep up this busy pace. It’s up to investors to see opportunity in a stock that the market hasn’t yet paid much attention to. Some assumed Cerro Blanco must have serious flaws for Goldcorp to sell it (not true). Others dislike Guatemala (there are challenges, but Cerro Blanco is permitted). Many just haven’t noticed Bluestone yet because the ‘boring’ phase doesn’t generate attention-grabbing results. That investors haven’t paid a lot of attention to Bluestone yet creates opportunity for anyone who starts paying attention now. Cerro Blanco is truly in a league of its own. This asset could be in production within two years, which is incredibly rare in today’s gold sector, especially for a larger mine. BSR’s stable share price shows that its elite shareholders are clearly long and strong. And now a feasibility study is about to take this asset to the next level, whether that is Bluestone building the mine itself or another company taking BSR out to get its hands on this very advanced gold asset.